FALLS CHURCH, Va., June 8, 2016 -- Northrop Grumman Corporation (NYSE:NOC) has collaborated with NEC Corporation (TSE:6701), a leader in the integration of IT and network technologies, to deliver the Japan-Cyber Operations Research, Training and Experimentation (J-CORTEX) system. J-CORTEX is a private, cloud-based cyber range that quickly and effectively emulates customers' environments for the purpose of testing and training. In Japan, there has been a rapid rise in demand for security and data access management from many government and military agencies given the proliferation of new platforms and business applications. J-CORTEX has the capabilities to conduct realistic cybersecurity testing, training and exercises that prepare cyber professionals to detect and prevent cyber-attacks in a real-world setting. 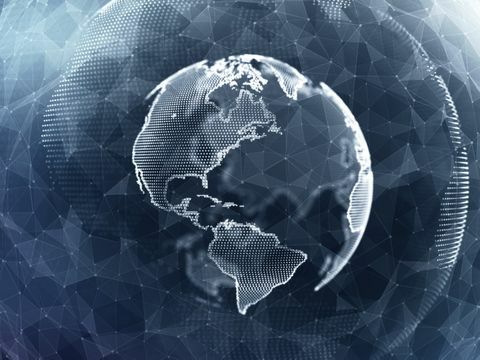 NEC, Northrop Grumman and Mitsubishi Corporation, through the J-CORTEX offering, will ensure a broader range of cybersecurity professionals have access to the most current cyber defensive methods and resources to ensure that government networks are well protected against modern adversaries. "Northrop Grumman is committed to building trusted partnerships with the Japanese government," said Jack Dorsett, chief executive, Northrop Grumman Japan. "Cyber represents one of our core capabilities and we are delighted to work with NEC and Mitsubishi Corporation to deploy a leading-edge solution for cyber operations research, training and experimentation." "We are grateful to collaborate with Northrop Grumman, who has rich experience in cybersecurity globally. Through this collaboration, NEC will enhance our ability to provide cyber training and help ensure the security of customers in Japan," said Kazuhiko Shiraishi, general manager, National Security Solutions Division, NEC Corporation. 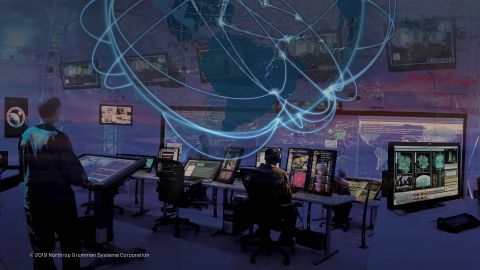 The J-CORTEX cyber range provides rapid implementation of complex and competitive cyber exercises for training customer network defense personnel in a safe, simulated environment. J-CORTEX builds an isolated testing environment closely emulating a client's unique computer and network enterprise so exercises can safely include both attack and defense factors, as well as system security tests. It can create multiple testing environments with hundreds or thousands of machines in just hours, where each used to take days or weeks to build. In addition to hosting cyber exercises, J-CORTEX serves as an educational and research environment to develop and master the latest tools, defenses and other techniques to protect systems and networks from cyber attackers. Customers can better and more securely plan large scale changes to their enterprises by first testing them in an emulated environment for stability, scale and security. NEC Corporation is a leader in the integration of IT and network technologies that benefit businesses and people around the world. By providing a combination of products and solutions that cross utilize the company's experience and global resources, NEC's advanced technologies meet the complex and ever-changing needs of its customers. NEC brings more than 100 years of expertise in technological innovation to empower people, businesses and society. For more information, visit NEC at http://www.nec.com . The NEC Group globally provides "Solutions for Society" that promote the safety, security, efficiency and equality of society. Under the company's corporate message of "Orchestrating a brighter world," NEC aims to help solve a wide range of challenging issues and to create new social value for the changing world of tomorrow. For more information, please visit http://www.nec.com/en/global/about/solutionsforsociety/message.html . Northrop Grumman is an industry leader in all aspects of computer network operations and cybersecurity, offering customers innovative solutions to help secure the cyber future of our nation and its allies. For more about cybersecurity at Northrop Grumman, go to www.northropgrumman.com/cybersecurity .